Apple held its special announcement event in its new Steve Jobs Theater at Apple Park. 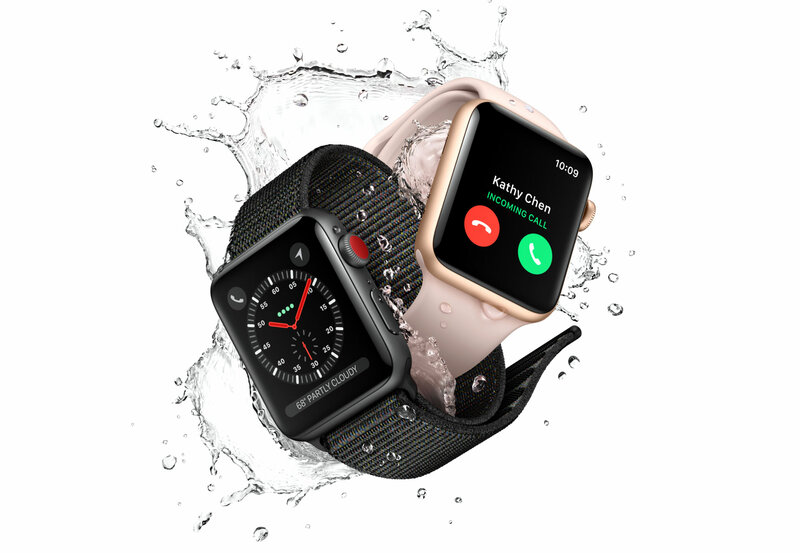 While the big announcement was the iPhone 8, 8 Plus, and iPhone X, the company's COO, Jeff Williams took on the stage to announce the new Apple Watch Series 3. The most significant change coming to the new Apple Watch is cellular capability. Now users will be able to make and take calls without tethering to their phones. The watch will have an electronic sim built in rather than a micro sim card. Williams did not mention whether carriers would charge you more for activating the watch, but he did say that it would use the same number as your current cell phone. The Watch Series 3 has a few other improvements. A new processor is 70 percent faster, giving Siri more capabilities like the ability to talk. An upgraded wireless chip for Bluetooth and WiFi also improves power efficiency by 50 percent according to Apple. The power savings will help offset the cellular power consumption, so that the battery life will remain about the same. Even with the addition of the additional hardware within the watch, the casing will remain the same size overall. However, the rear bezel will be slightly thicker. The new Apple Watch will come with gold, silver, or “Space Gray” finishes. The high-priced ceramic version will also be on offer in the original white and the new ceramic gray. Apple is adding a variety of new bands to the mix as well. To go along with the new hardware, Apple is introducing some new apps and functionality to watchOS 4. The improved operating system will have a new swimming app and will also be able to sync with compatible gym equipment to better track your workouts. Thanks to the hardware improvements, users will also be able to stream music through the watch. Apple’s music streaming service now has over 40 million songs, which can stream directly through the watch. Music can be streamed from one's iCloud account as well. The heart rate monitor has new functionality. The Series 3 will be able to track your heart rate throughout the day and display it on a graph to give you a better view of your workouts and overall heart health. It will also be able to alert you when your heart rate is unexpectedly high, like while you are at rest. Focusing even more on heart health, Apple has started a program to use the Series 3's heart monitor to spot signs of atrial fibrillation. The new watchOS releases on September 19, while the Apple Watch Series 3 will be available to pre-order on September 15 and will start shipping September 22. The standard watch will sell for $329, and the cellular version will go for $399. Additionally, Apple is dropping the price of the Series 1 to $269.